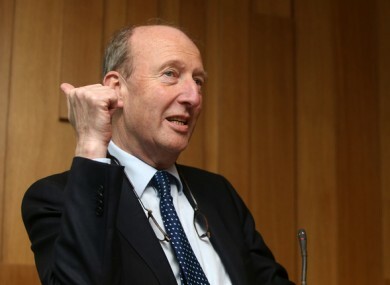 TRANSPORT MINISTER SHANE Ross has said he is open to increasing penalty points for some offences if it saves lives. He told TheJournal.ie that his department is reviewing new laws in the UK to see if possible changes can be made to the Irish system. New laws come into force at the beginning of March in the UK which will see drivers caught using their mobile phone while at the wheel getting double penalty points and a double fine. When it came to handing out penalties, he said, road safety infringements were “a bit different from going around stealing things – it’s killing people”. Anything that is sensible we will consider it. Currently, a driver caught holding a phone while driving will be hit with a fine of three penalty points – rising to five if the penalty is unsuccessfully challenged in court. Fines range from €60 to €90. The Minister also said he was open to new initiatives to improve people’s driving – and wouldn’t rule out a requirement for elderly drivers to re-sit their test. You have to be conscious of the fact that some people did their test at 17 and they are now happily driving at the age of 70 and they haven’t had to get any kind of refresher at all when the roads have changed, the signposts have changed, the rules have changed and there is absolutely no way of checking up whether they are fit for driving anymore. Email “Penalty points for mobile phone use could be increased, Ross says ”. Feedback on “Penalty points for mobile phone use could be increased, Ross says ”.